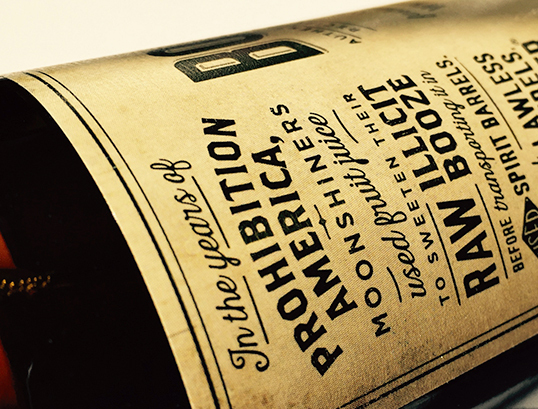 “In the years of Prohibition, Moonshiners used fruit juice to sweeten their raw, illicit booze before transporting it in used spirit bottles. 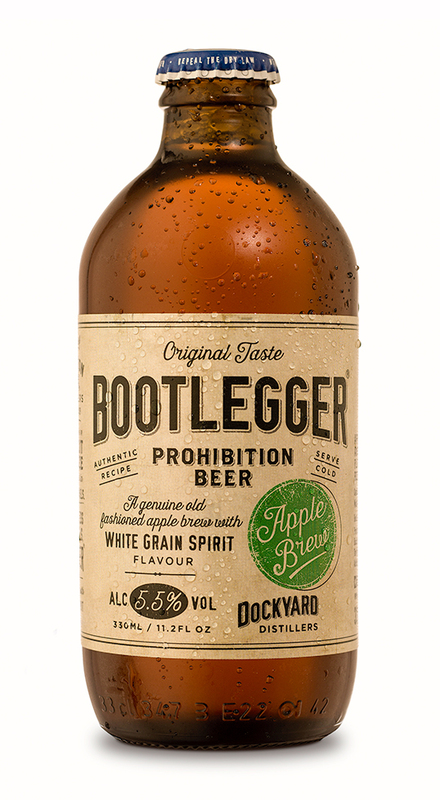 Inspired by these lawless rebels, independent drinks company Halewood International created Bootlegger Apple Brew – an old fashioned apple beer that’s flavoured with White Grain Spirit. 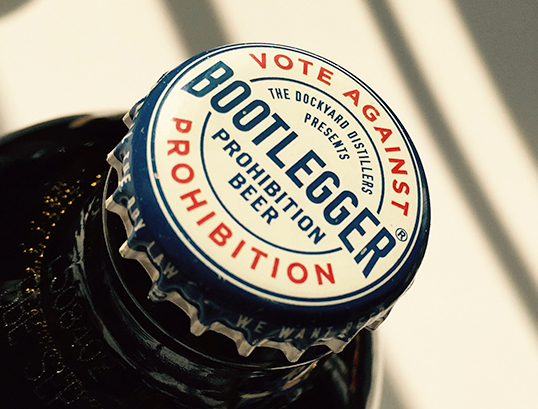 The packaging is inspired by American Prohibition and vintage drink labels and has a raw, hand made feel, featuring simple black typography on an old paper background. The variant is communicated using a green stamp which adds a pop of colour and reflects the apple flavour. 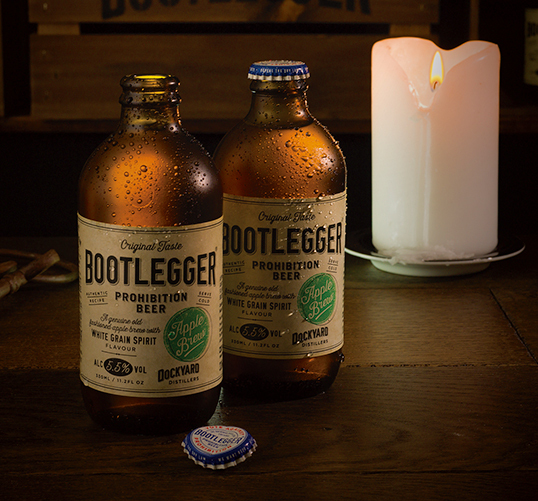 A 330ml stubby bottle was chosen to give the brand a point of difference from the rest of the spirit beer category and reflects the uniquely distinctive liquid.